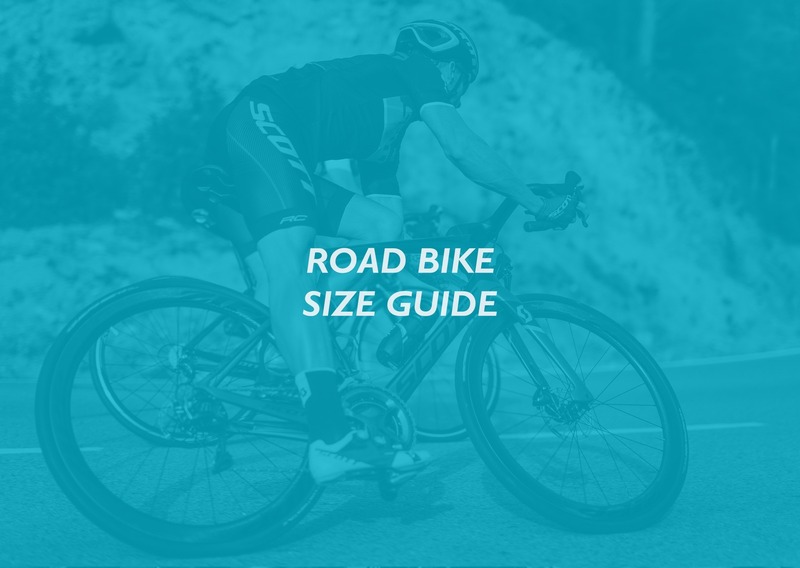 Use our road bike size guide to find the perfect size for you. Choose the right size road bike and you’ll be more comfortable and more efficient, so you can go quicker, especially over longer distances. Which size road bike do I need? Then, use the road bike size charts below to match your measurements to the manufacturers’ recommended frame size. How are road bikes sized? Road bikes are usually sized in centimetres, or using a S/M/L system. A road bike’s frame size is traditionally calculated by measuring the length of the seat tube, from the top of the tube (where the seat post inserts), to the centre of the front chainring. 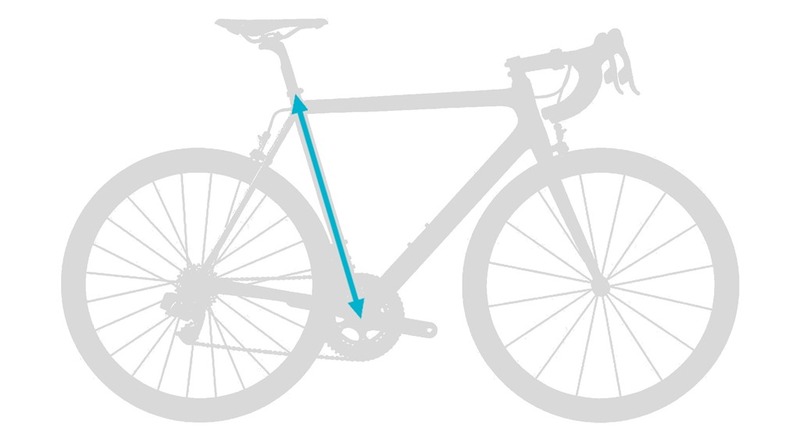 To keep sizing consistent across models, Compact road bikes (with a sloping top tube) are either sized using a S/M/L system, or are sized with a ‘virtual’ seat tube measurement based on a traditional (non-compact) frame. NB. Sizes can vary slightly between manufacturers. 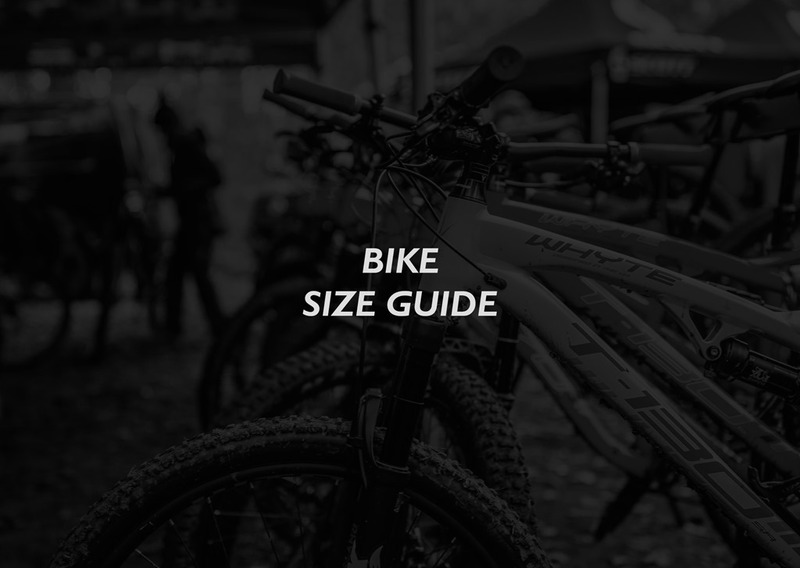 If your measurements suggest that two road bike sizes are suitable, then in the end it’s a personal choice, but the rule of thumb is to choose the smaller size. It is possible to make a smaller road bike frame bigger (for example, by raising the saddle or fitting a longer stem), whereas if the frame itself is too big for you, it’s likely to be less comfortable and less efficient. Are frame sizes different for women-specific road bikes? Yes – for example, a Medium women’s road bike will be smaller than a Medium men’s road bike. However, the sizing itself is calculated in the same way, so a 54cm men’s and women’s bike have the same frame size. NB. Some manufacturers also change other aspects of frame geometry on a women-specific bike, to offer women a better fit. For example, women tend to have shorter upper bodies than men, so women’s bikes can have shorter top tubes (the horizontal or sloping tube running between the handlebars and the saddle), to reduce the reach to the handlebars.